This article is going to be fully about Clash Royale Clone Card and I am also including a video So that you can check it out at the end of this article. 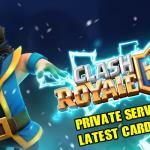 Clash Royale Clone Card – Facts about it. Clone Card is unlocked at Frozen peak arena. As soon as you reach, You can buy it for 400 gems, Directly to level 3. Based on the level of the Clone card, It will clone your units. Assume if it is cloning a level 3 Musketeer, Then the Cloned card becomes level 6 if you use level 3 Clone spell, It just adds the levels. However, The Cloned units have only 1 HP, But they deal damage greater than the original units. There is no time frame for the Cloned units, They can last in the battle as long as it retains the 1 HP. The Clone Spell works only with the troops, Buildings and the even log is not cloned. The card can be cast anywhere on the map, It clones only your units and not the enemy units. If units like Sparky, Dark Prince, Prince are cloned while they are charging the attack towards the enemy, They stop charging, They do get cloned and reach the target with haste. Clone card works only with units which are present real in the map, Assume if there is a minion horde, 3-4 minions are dead and after you imply Clone card, Then remaining minions only get cloned. When you cast Clone card, Original units are pushed to the left and the clone units are pushed towards the right. These are some of the main facts about Clash Royale Clone Card and I will suggest some strategies which you can use on. Note – Most important thing is that, While cloning, Make sure your original troop moves towards the target first, So that your Cloned troops can damage while original troops absorb damage, Check out the video for more information. There are varitey of strategies which can be used with Clash Royale Clone Card, Some of them are listed below. This Card, Works well with the dark prince, As the Dark Prince has the shield, The cloned dark prince can absorb two shots, Dark Prince is with shield so that he can survive a Rocket splash attack too.Only his shield falls down. Clone Card works very deadly with golems and lava hounds Because the golemites and lava pups of clones deals damage very good as the original troop act as damage tanker. So, That is the most important strategies, That can be used. Clash Royale Clone Card – How to Counter it. If enemy uses, Clone Card you can easily counter it by using splash damaging units like Wizards, Ice golems and also spells such as zap, Poison, Fireball works very well against them. Check out the video for more information. 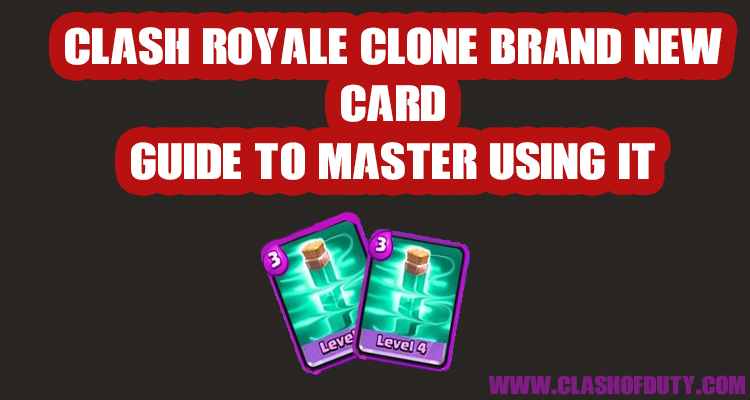 So, That’s all about the Clash Royale Clone Card, Hope you had enjoyed the article and learn something useful, Do share it with your friends, They might find this content useful too, Subscribe to receive more articles like this, Thanks. Check out the video below.